Banana bread is not new to the blog. In fact, I’ve already blogged nine different versions of banana bread or muffins. Why another one, then? This one was just that good. 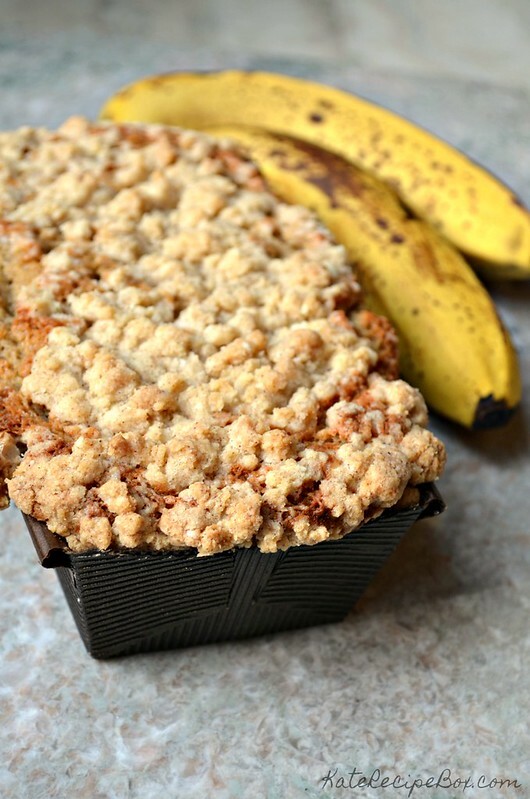 I don’t believe there’s a perfect banana bread – just a perfect one for your mood. This one totally nailed the mood we were all in that day – we gobbled it up. The bread on this is really light and fluffy – definitely one of the fluffiest I tried. And then you get the crunch of the crumb topping. So much yum in those bites! 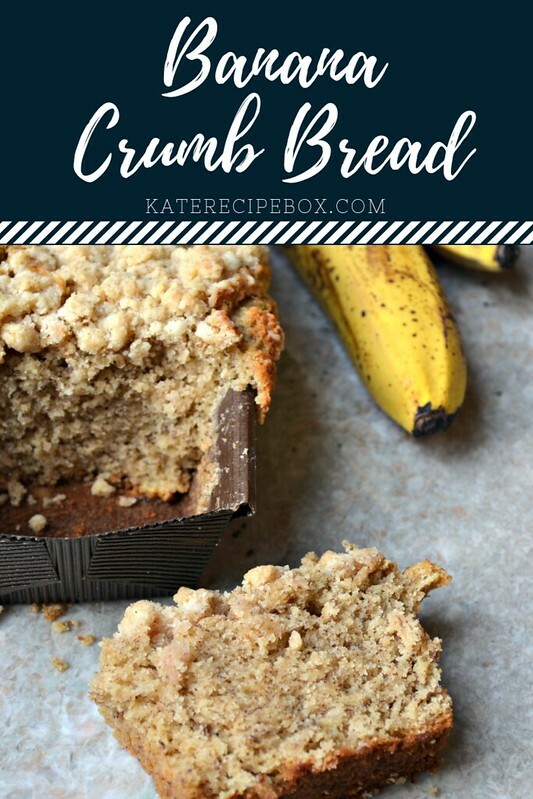 If you’re a chronic banana bread recipe trier like myself, you’ll want to add this one to your list asap. Preheat your oven to 350 degrees. Spray your loaf pan with non-stick spray and set aside. In a stand mixer, beat together the egg, sugar, and vanilla until well combined. Beat in the sugar until fully incorporated and smooth. Beat in the buttermilk and mashed bananas until well combined. In another bowl, whisk together the flour, salt, baking powder and cinnamon. By hand, fold the dry ingredients into the wet until just combined. In a small bowl, stir together the ingredients for the crumb topping. Using your hands, break the mixture into crumbles and sprinkle it over the bread batter. Pat down slightly. Bake for 45-50 minutes, until a knife inserted comes out clean.